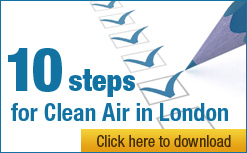 Nitrogen dioxide (NO2) limit values are an absolute ‘obligation to achieve a certain result’ i.e. they must be achieved to protect public health irrespective of other factors. The postponement of the deadline to comply with NO2 limit values is possible only where ‘acute compliance problems exist’. Member States may only delay compliance with NO2 limit values beyond 1 January 2010 if they produce(d) a plan demonstrating full compliance with those limit values by no later than 1 December 2015. The UK has failed to do so for 16 of its 43 zones. Citizens can bring a case before national courts. National Courts must ‘take any necessary measure, such as an order in the appropriate terms, so that the appropriate authority [Defra in this case], establishes the plan required by the Directive to ensure, in particular, that the period during which the limit values are exceeded is as short as possible’. The mere fact that such a plan has been established does not mean the Member State concerned has entirely satisfied its obligations under the Directive. 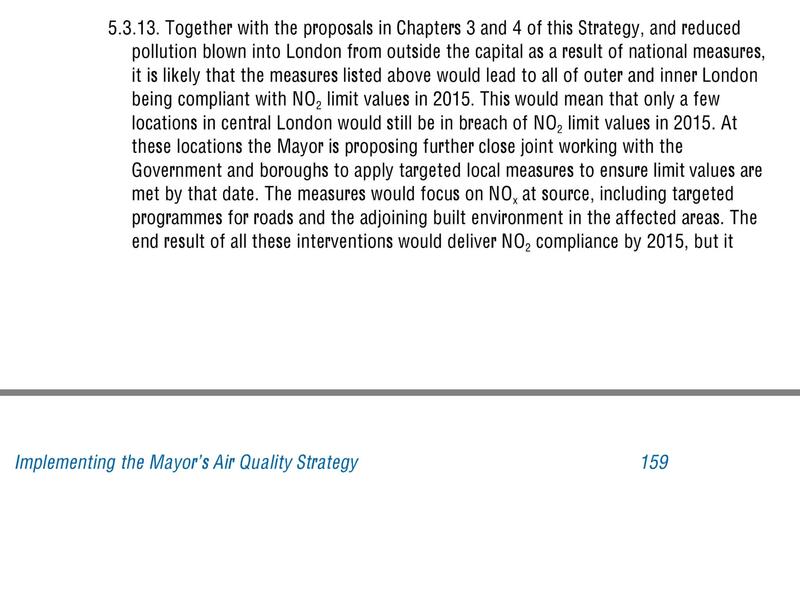 Defra’s current plan shows London, Birmingham and Leeds breaching the NO2 annual mean limit value until beyond 2030. The final point is the most important. It means that Defra must produce a meaningful plan that keeps the exceedance of NO2 limit values ‘as short as possible’. “This is a massive win for ClientEarth on all counts in a landmark environmental case that could be the most important in a generation. “This Judgement means early next year the Supreme Court must take any necessary measure to require Defra to produce a meaningful new Air Quality Plan that ensures the exceedance period for nitrogen dioxide (NO2) limit values beyond 1 January 2010 is ‘as short as possible’. The Judgement also makes clear that these limit values are absolute ‘obligations’. Provide better public information on air pollution, including a comprehensive warning system for air pollution episodes and clinical advice. “This Judgement means much more though. It gives citizens across Europe the right to bring actions on air pollution to national courts. “Most important, the European Court has taken action today to protect UK citizens from the Government and the Mayor’s failure to protect us from air pollution. Huge congratulations to ClientEarth, particularly Alan Andrews and James Thornton, and barristers Dinah Rose QC and Emma Dixon.